The North Shore's first certified shared use kitchen, where foodpreneurs are cookin' the dream! Kitchen Local fills a niche for culinary professionals and provides around-the-clock access to affordable, modern, convenient and permitted commercial kitchen work space. 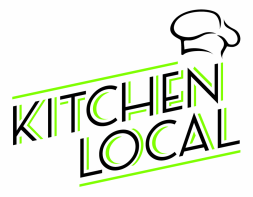 By using Kitchen Local, you can launch or expand your business immediately without a large initial capital investment; minimizing your risk and start-up costs. We love helping small businesses get started and expand. We guide you through the permitting/licensing process, connect you with resources, work with you on your business concept and strategic planning, and help promote your business. Chefs, bakers, small-scale food producers, farmers, as well as cooking and nutrition instructors can use the kitchen for food production, catering, baking, cooking classes, menu planning, training, recipe testing, photography, and product development. At Kitchen Local, a community of foodpreneurs comes together in a collaborative environment to share their passion for food with the world! The state-of-the-art kitchen was founded in 2013 and is located at 14 Cedar Street Studios, a historic brick building a few blocks from downtown Amesbury. Once home to Chas. J. Henschel & Co., one of the city’s famed carriage and automotive manufacturers, the building now hosts an array of creative entrepreneurs including artists, architects, designers, builders and musicians.